It’s no secret that the quickest route to our heart is through our mouths, via a scenic road trip. So, we’re salivating over this Victorian road trip, complete with a star-studded cast of delicious stop-offs and majestic views at every twist and turn. 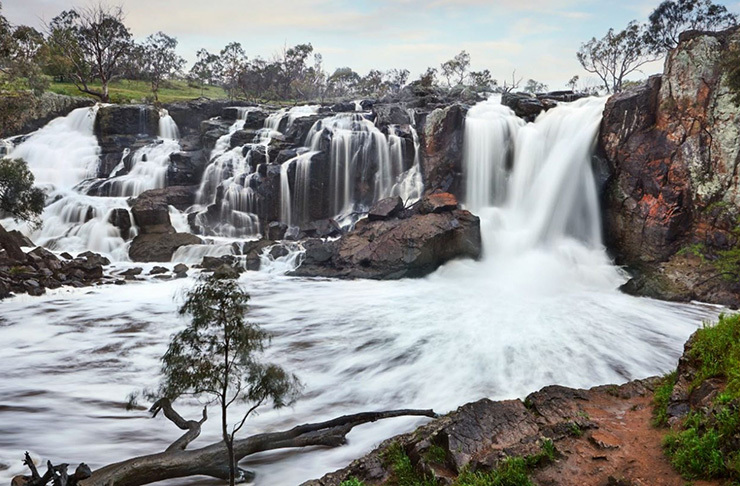 Nestled three hours west of Melbourne is the ever so charming Southern Grampians region. 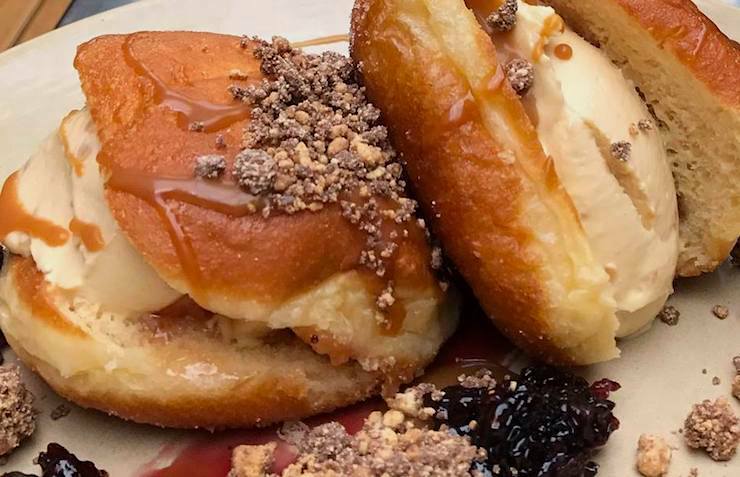 This place is absolutely jam-packed filled with mouth-wateringly delicious delights from legendary bakery snacks to a mind blowing 8-course degustation. And let's not forget the scenic gems you'll also find along the way, think tranquil rainfalls, ancient volcanoes and Instagram perfect landscapes. So you’ve driven approximately 3 hours and at this point you’re dying for a feed (we feel you). You’re in the dangerous mid-morning zone where you could easily cave and gorge on servo snacks, but you know you can’t cheat on your date with lunch. But don't worry, this ain’t our first rodeo and we’ve come prepared. Hopefully you haven’t stuffed yourself silly with sausage rolls and cakes (we're not here to judge). You just need to roll 500 metres around the corner to the Royal Mail Hotel. 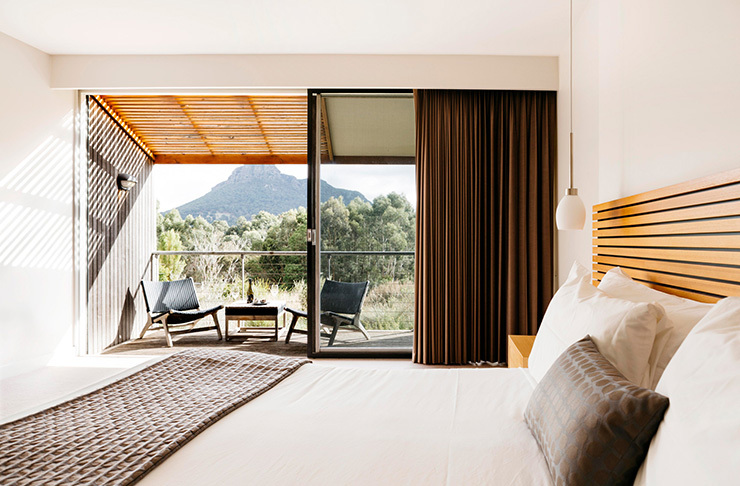 With a 28,000-bottle wine cellar, two droolworthy restaurants, a kitchen garden that grows nearly all of the produce needed for their menus and breathtaking accommodation, ALL surrounded by the stunning landscape of the Grampians National Park – we feel like we have found actual foodie heaven. This is destination dining at its finest, so it’s time to go big or go home (and you don’t wanna go home, trust us). 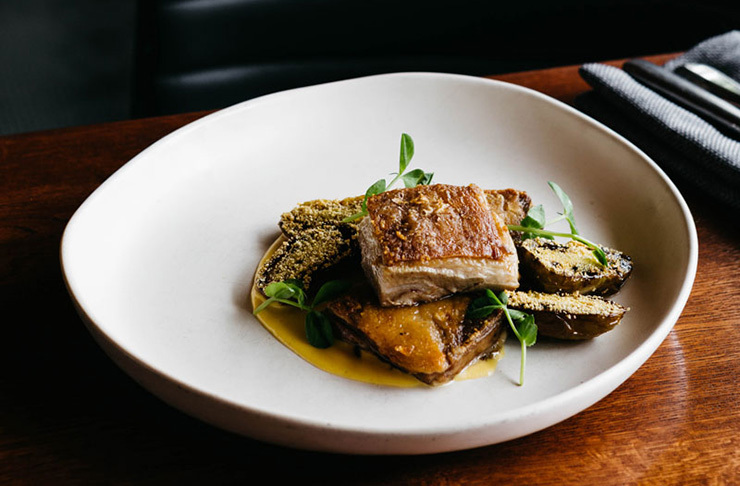 If you're visiting on a Saturday, we reccomend committing to the 5 or 8-course menus at Wickens at Royal Mail Hotel, and if you’re feeling super fancy, lash out on an Australian or French wine match (shot not designated driver). 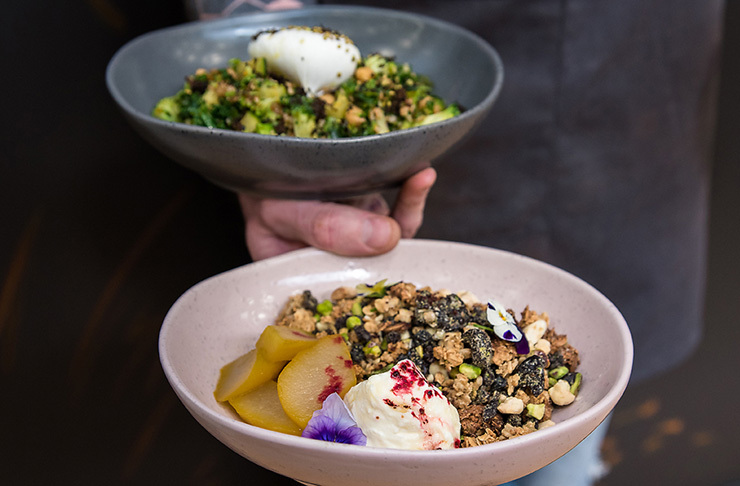 If you're up for a more casual lunch then Parker Street Project is your guy, with heaps of epic share plates and even better, they're open 7 days. If you're unsure on what to order, we would strongly recommend any of their lamb or beef dishes, as the mouthwatering meat is grown right on their very own farm. The menu changes up dependent upon what’s in season and thriving in the garden, so no matter what they’re serving up you know it’s going to be fresh and delicious. This place goes off, especially on the weekends, so do yourself a favour and book in advance. Only the best foodie trails require a sleepover, and Southern Grampians has accom options left, right and centre. But if you’re looking for something a little more luxe, we recommend staying right where you are. Not only that, we know that after demolishing a 5 or 8-course meal, you’re going to need to be able to get horizontal, and fast. With 8 different room types ranging from a 12-person Homestead to a romantic Mountain View room-for-two, this place has you sorted, no matter what kind of weekend you're on. If you're more of a "walk the feast off" kinda person, then luckily for you there's a heap of stunning walks and hikes right on your doorstep. 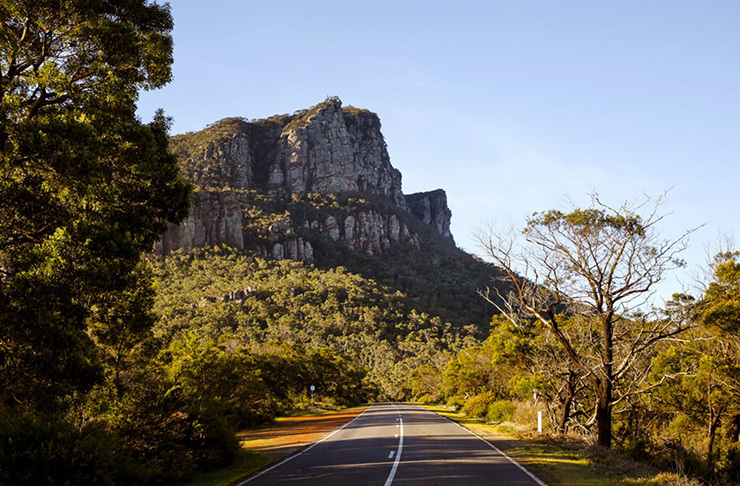 The Picaninny walk is nice n' easy and will take around 30 minutes to reach the summit, where stunning views of Mt Abrupt and Dunkeld await. If you're a seasoned hiker, Mount Abrupt is your match, the 3-hour round trip will gift you with panoramic views of the Serra Range, plus, you might even see some wedge-tailed eagles, nankeen kestrels and peregrine falcons. Any good food trail will make sure to tackle all elements of the dining experience. So that means we’re taking you from an 8 course degustation for lunch, to a traditional pub meal for dinner. TBH this is one helluva itinerary so we’ve tactfully selected a casual yet iconic dining experience to round off the day. The Bunyip Hotel in Cavendish is described as “city food” meets “country pub” and you can be sure to find all your classic faves on the menu here. Our picks? Either the Veal Shanks or Lamb Shoulder washed down with an icy cold beer. As they say breakfast is the most important meal of the day and as we say, coffee is the most important drink of the day. Sometimes we feel like life’s million-dollar question is “where can I get good coffee?”, especially when you’re gallivanting about in a small country town. So we’re here to save the day and let you know you can find your morning cup of liquid gold at Jack + Jude. Having only just recently opened, these guys are already making serious waves in Hamilton and serve up one mean breakky. We couldn’t get enough of the fried eggs served with cauliflower and blood pudding. Even better, the Hamilton Gallery is only a few metres away so once your bellies are full you can get amongst one of Hamilton's greatest treasures. Make sure to check out what's on with a range of exhibitions, programs and events running all year long. Now we know this isn’t food related, but we’d be doing you a serious injustice if we didn’t get you to some of Southern Grampians most precious gifts from Mother Nature. Make sure to visit after heavy rains to catch the falls in full flow! It's getting to that time of the weekend where the sad Sunday blues start to kick in because all the weekend fun and eating is coming to a close...but not yet. We have saved an absolute gem to send you off in delicious style. 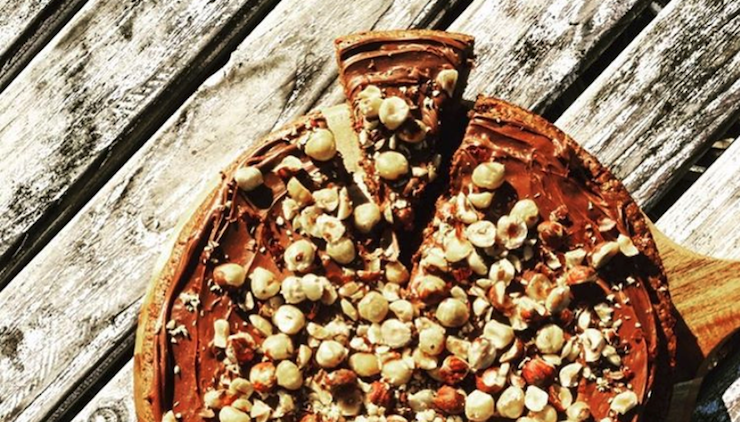 Tosca Browns might just be the cutest cafe we've ever seen AND, their food is mind-blowing. Make sure to order the pork belly slider with sizzled onions, kewpie mayo, Asian slaw and hand cut fries; or if you're looking to fulfil your sweet side, the hot Donut Sliders filled with peanut butter cheesecake, berry jam, milo crunch and salted caramel really changed our life for the better. You’ve got a three-hour drive ahead of you so you would best be packing some heat for the voyage. 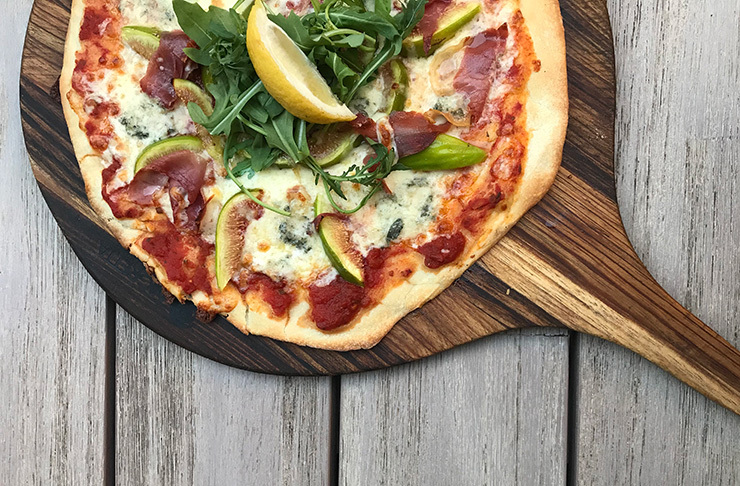 Roxburgh House is a local institution, serving up all kinds of delicious food (think mouth-wateringly fresh pizza) along with their very own ‘Rox Coffee’ Roast and Dr Rox Kombucha. For the perfect roadie treat you can’t go past their housemade cakes, chocolates and biscuits. If you’re not in a rush, settle into their trendy outdoor lane with a coffee and cake and reminisce on the deliciously extravagant weekend that was. Bliss. Editors note: This article is sponsored by Visit Grampians and proudly endorsed by The Urban List. Thank you for supporting the sponsors who make The Urban List possible. Click here for more information on our editorial policy.